5G - It's not about the "G"s! 5G – It’s not about the “G”s! Unsurprisingly, there’s a lot of buzz around 5G at this week’s Mobile World Congress trade show in Barcelona, Spain. But believe me, the 5G wireless network isn’t going to be the panacea that many expect it to be. 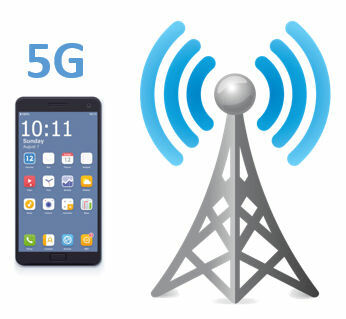 Bob O’Donnell of TECHnalysis wrote an great report “The Messy Path to 5G” detailing some of issues that are impacting deployment of 5G, but one thing is for certain – the need to properly test app performance prior to their launch isn’t going to go away due to the abundance of bandwidth. Practical speeds of Mobile networks have very little to do with how many “G”s you have. Applications (apps) are affected by how much bandwidth they can actually get, and depend on the protocols they use for communicating. I remember 4G being touted as having very low latency numbers too, now we’re waiting for 5G to solve that! In truth most modern mobile applications don’t need much more than 4G bandwidths. The problem is they’re not even getting that, and that’s down to the “backhaul” i.e. the connection between the cell and the rest of the network. Suppose, in the brave new world of 5G, 9 of my buddies and I power up some app that actually uses 1Gbps each, in the same cell. We’ll be needing a backhaul capability from that cell of >= 10Gbps! The core network will likely have to cope with lots of different cells having the same demand. So inevitably, we won’t get enough bandwidth and queuing (latency/jitter) and loss (failure to queue) will develop.